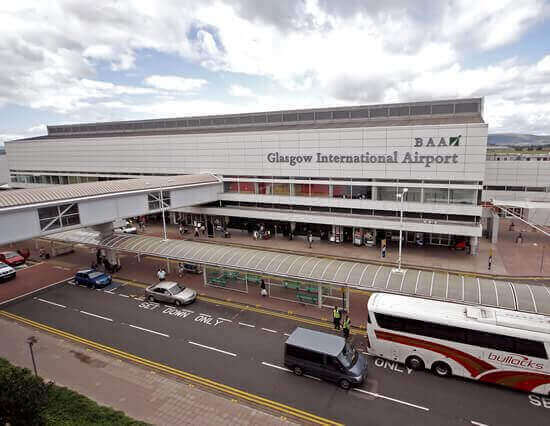 Glasgow International Airport is located just 8 miles west of Glasgow city centre and 2 miles from Paisley town centre. By road, the M8 motorway is the direct link to Glasgow International Airport and 40 miles east on the M8 is Scotland's capital city, Edinburgh. Also within commutable distance is Loch Lomond and The Trossachs, Strathclyde Country Park and New Lanark World Heritage Village. The airport is officially the busiest airport in Scotland flying over 8.7 million passengers each year. It adds new routes every year and is continually expanding. Glasgow Airport was awarded ‘Best Airport, 5-10 million passengers’ at the Airport Council International Europe’s (ACI Europe) prestigious Best Airport Award in June 2016. It was also crowned Scottish Airport of the Year 2016. Glasgow is also the current holder of the UK Airport of the Year title as well as the Airport Operators Association (AOA) Airport of the Year. Glasgow International Airport has numerous car parks with different tariffs depending on your parking requirements. With various options - Long Stay, Short Stay, Fast Track and Pick Up, you’ll find the perfect space for your car when you’re flying on business, going on holiday or picking up a friend, relative or colleague. Please use the search facility on the left to check latest prices and availability for Glasgow Airport Hotels.